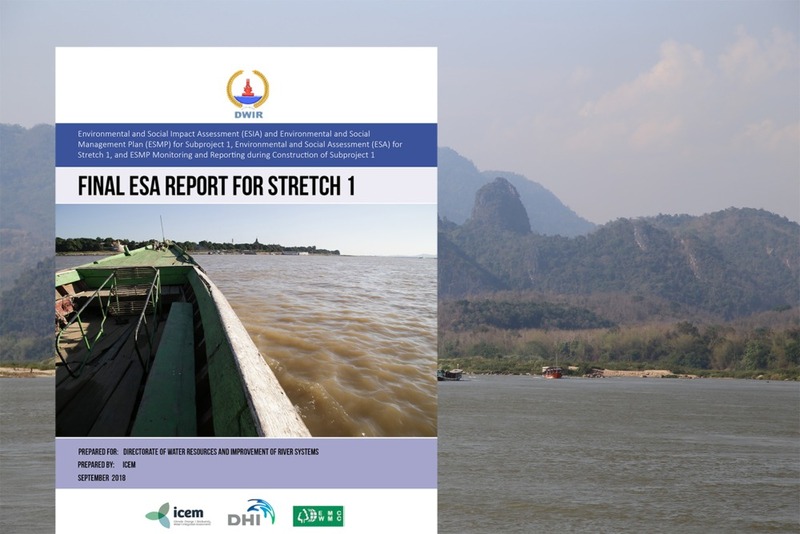 Government officials in towns along the Greater Mekong Sub-region East-West Economic Corridor have enthusiastically taken up the challenge of boosting their capacity to deal with climate change and formulate innovative adaptation solutions. Over the past few months, ICEM has been working with the towns of Kaysone Phomvihane (Lao PDR) and Dong Ha (Vietnam), to strengthen their capacity to manage climate change. The towns, which sit along the East-West Economic Corridor in the Greater Mekong Sub-region, aim to become fully-fledged cities, but face a daunting challenge from climate change, particularly due to increased rainfall, which threatens to compound flooding during the wet season. ICEM staff travelled to Kaysone Phomvihane in November and Dong Ha in December, to conduct a four-day training workshop in each town. The primary aim of the workshops was to train Government decision-makers and planners in using ICEM’s CAM methodology, a tool for diagnosing climate change threats and systematically formulating appropriate adaptation responses. In both towns, government technical staff identified a range of issues with existing and planned infrastructure that would be compounded by climate change with serious repercussions for local development and environmental conditions. Two issues in each town were selected as case studies, to be the focus of the workshops. In Kaysone Phomvihane, the selected case study sites were broken floodgates, which are failing to release stormwater into the Mekong River or protect the town when the river level is high, and the town’s central market, where poor drainage has serious implications for public health. In Dong Ha, the selected case study sites were a zone from the market to the proposed port, at risk from poor drainage and riverbank erosion, and a canal to the south of the city, which floods annually due to inappropriate canal construction downstream, and poor management of the watershed upstream. The workshops brought together around twenty officials from a range of Government departments in each town to apply firsthand, tools to diagnose climate vulnerability in the case study sites. Participants conducted a participatory mapping exercise to map past flood events in the city – a first for both towns. They got out into the field and examined existing issues with infrastructure up-close, before returning to the classroom to consider how climate change might exacerbate things. Finally, they came up with a range of interesting adaptation options for each site, focussing on approaches that employed green infrastructure. After four days of hard work, enthusiasm was high and workshop participants were eager to get on with the business of coming up with adaptation options for their town. A particularly positive development is that both towns have committed to turning the group of workshop participants into permanent advisory groups, responsible for mainstreaming climate change into the towns’ development plans. In January 2014, a core group workshop was held in Battambang, Cambodia, that brought together more than 40 technical experts and government representatives. Vulnerability assessments were conducted for three sites, and adaptation options for these three sites developed as part of the exercise. The workshop provided opportunity to recognise the achievement of participants, but also use local knowledge to supplement data collected and update a flood map for Battambang that will be rendered as GIS layers and used to inform climate zoning maps in the next workshop round.